The Key-D fixed blade is a keeper. It's a thin knife that sports a long drop point blade with some serrations for the fibrous stuff. The handle is wrapped with thin blue nylon cord. 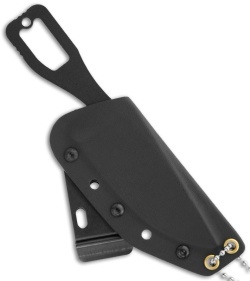 This knife includes a Kydex sheath with steel belt clip and neck chain. 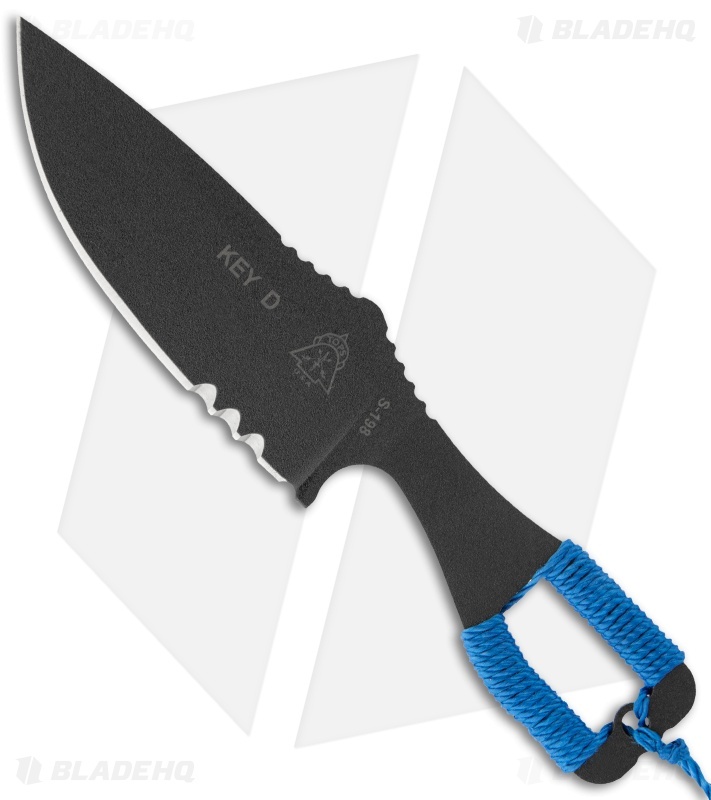 Whether outdoors or in combat, this is a handy knife that will serve you well. Nice knife, small handle can be kind of uncomfortable and that's where the star is knocked off, however it also keeps overall length very reasonable for a fixed blade. I rearranged the excellent sheath so it sits horizontally on the belt, and this knife deploys quicker that any other knife i own, fixed or folding, manual or auto.